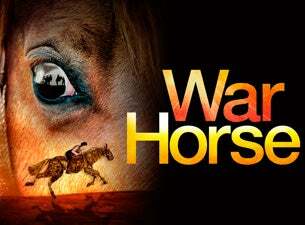 Based on the beloved novel by Michael Morpurgo, the National Theatre's internationally acclaimed production of War Horse is an unforgettable theatrical experience. Hailed by Time Magazine as 'A Landmark Theatre Event', War Horse is a spectacular, powerfully moving and imaginative drama, filled with stirring music and songs. At its heart, are astonishing life-sized puppets by South Africa's Tony Award-winning Handspring Puppet Company, who bring breathing, galloping, charging horses to thrilling life on stage. As World War I begins, Joey is sold to the Cavalry and shipped to France. Soon caught up in enemy fire, fate takes him on an extraordinary odyssey, serving on both sides before finding himself alone in No Man’s Land. But Albert cannot forget Joey and, still not old enough to enlist, he embarks on a treacherous mission to find him and bring him home.